Issue: Realpolitik, we are advised, recognizes that the multilateral system can’t produce an equitable or effective agreement that will mitigate climate chaos: Recognizing this, concerned governments and scientists have no reasonable choice but to investigate technological strategies that could reduce or delay climate change, at least until social forces make a practical agreement possible. Also according to Realpolitik, there is no more hope of achieving a multilateral consensus on re-jigging the thermostat than there is of adopting effective targets for greenhouse gas (GHG) emissions. Therefore, the issue is to create a narrative and construct a governance model that will allow a courageous, far-sighted, science- based “coalition of the willing” to justify their unilateral manipulation of the Earth’s systems. They call it geoengineering – we call it geopiracy. At Stake: First and foremost is the international control of planetary systems: our water, lands and air. Second, is the commitment to climate change mitigation and adaptation. If some rich governments and industry see geoengineering as a quick, cheap fix for climate change, their money and technologies will be devoted to this “scientific solution” and there will be no resources to help the global South fend off the chaos ahead. Actors: Leading the push to advance geoengineering are the UK's Royal Society and the US National Academy of Sciences, joined by counterparts in other countries such as Canada, Germany and Russia. Policymakers, who are looking for a way through the next election even more than a way out of climate change, are listening. Discussions are now taking place in Parliaments and Congresses looking more for a way through the next election than a way out of climate change. Major energy, aerospace and defence enterprises are remaining in the background, for now, allowing scientific hubris and conservative think tanks (the very ones that used to deny climate change) to take the heat. Once others deliver the “shock” – that climate chaos is upon us and GHG emissions won’t be reduced in time – industry can deliver the “therapy” of techno-fixes that will alter the stratosphere and/or restructure ocean surfaces to ostensibly buy us more time. Fora: Although the main forum for climate change negotiations is the United Nations Framework Convention on Climate Change, the UN Convention on UN Environment Programme (UNEP) and / or the UN General Assembly should seek the advice of the International Court of Justice to confirm that geoengineering experimentation would be a violation of the 1978 ninth Conference of the Parties in Bonn, Germany in 2008. The broader issue of geoengineering is now firmly on the CBD’s agenda. Given the sorry state of climate change negotiations and catastrophic environmental state of the planet, both climate change and geoengineering will be on the table in the lead up to the UN’s Conference on Sustainable Development (Rio+20 Summit) to be held in Brazil in 2012 where international environmental governance is a key thematic focus. 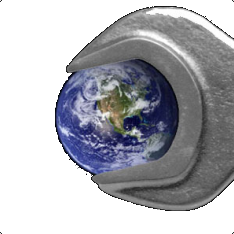 Policies: A moratorium on real-world geoengineering experimentation is urgent. Additionally, the CBD, the Biological Diversity (CBD) has been quick to defend marine biodiversity by establishing a de facto moratorium against ocean fertilization (one form of geoengineering) at its Environmental Modification Treaty (ENMOD). The Rio+20 Summit should tackle head-on the governance of geoengineering as well as the evaluation of other new and emerging technologies that pose grave threats to the environment and to the hundreds of millions of people who depend upon its health for their livelihoods. Download the PDF file to read the full booklet.